The Ministry of Transportation in Indonesia is beginning to invest in IT to further optimize its transport system. As the Ministry of Transport controls Land, Sea, Civil Aviation and Railway transport, it has many different working areas to look after. For each of these specific areas, the Ministry is looking into projects which will help enhance the transport system in anticipation of the 2018 Asian Games, which will be hosted in Jakarta. The Ministry of Transportation has set the goal of building its transport infrastructure over the next five years. This plan was drafted into the Ministry of Transportation Strategic Plan 2015-2019 and has plans to improve safety and security of transportation, transportation services, and increase transport capacity. One of the biggest projects being carried out by the Ministry of Transportation is the Jabodetabek Transportation Master Plan, assigned to the Ministry this year by the Minister of Communications. 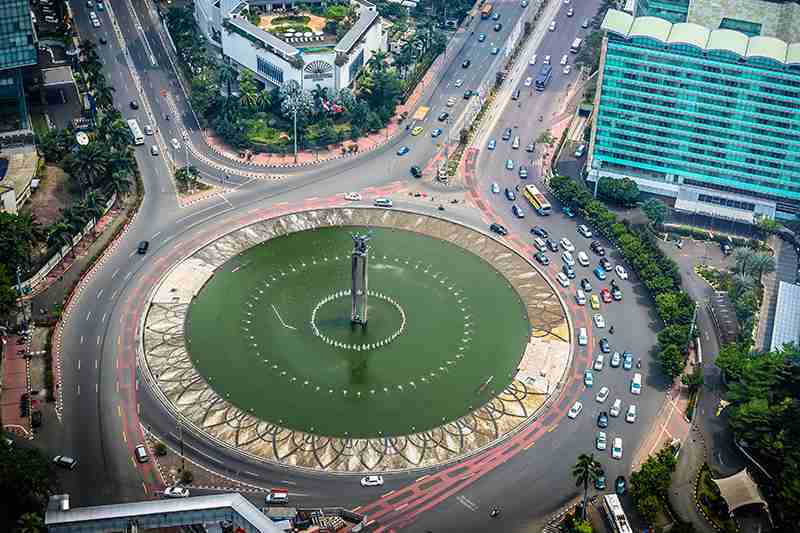 Jabodetabek incorporates the urban area surrounding the Indonesian capital city of Jakarta. The goal of the Master Plan is to meet the demand for greater mobility, integrated transportation, and a more sustainable urban transport system. The Ministry of Transportation is looking to improve their maritime system, in the efforts to becoming a “Global Maritime Fulcrum”. Public and Private partnership programmes will aid Indonesia in meeting this vision. It was announced this past month that Indonesia will be working with the US to develop marine science and technology, as well as improve security for sea and ports. Such a collaboration reflects the country’s shared interest in improving port operations and maritime security. During our recent time in Jakarta, OpenGov Asia caught up with the Mr Sahattua Simatupang, Director of Shipping and Seafarer. He responsible for looking after 33,500 ships and 350,000 seafarer. Mr Sahattua Simatupang told us that the Ministry is actively working to further integrate technology into its port operations. Mr Sahattua Simatupang told us that the MOT leadership is working to make digital transformation a reality. The current MOT Minister Ignasius Jonan, the youngest acting Minister in Indonesia, is planning to integrate the whole port system through digital platforms. The Director General of Sea Transportation is now working to integrate Long-range Identification and Tracking (LRIT) and Facial Monitoring. This would help transform port operations and improve their service delivery, exponentially. As of now, Shipping and Seafarer registration has already been made available online for users to access. If the rest of port operations could be transferred to a digital platform, his would help create smarter and more efficient ports, while also creating opportunities to engage data analytics into the mix. OpenGov Asia also had a chance to meet with Mr. Bambang Ervan, Head of IT at the Ministry of Transportation, after seeing Mr. Simatupang. Mr. Bambang Ervan was happy to tell us about what he has been working on and what the MOT is offering. To get a better idea of his position, his unit is responsible for IT in public service. This includes software, applications, communications technology throughout the whole Ministry. Mr. Bambang Ervan has been working on various projects to improve the IT infrastructure with solutions catered to transportation mechanisms. To make these projects a reality, MOT must collaborate with public and private partners across the transportation and communications industry. MOT is collaborating with the PTKAI, the State-Owned Enterprise for Railway, to improve railway networks. MOT is also partnering with PT Telecom to build IT throughout the Ministry. In the realm of Civil Aviation, MOT is using a system from Denmark called SCORE for air management. The kind of challenges faced in upgrading technology, as Mr Bambang Ervan describes, includes the shift to more automated processes. Change management is seen as one of the key obstacles to integrating technology into operations. It is clear that the Ministry must go through a cultural transformation in tandem with their technological transformation. In approaching these challenges, it must be made clear that the digital transformation is the way to go. The Ministry of Transportation holds great opportunities in improving their operations throughout the country of Indonesia.